Falls are one of the leading causes of emergency room visits in the United States, and they are often attributable to neglected property maintenance or poor walkway design. If you do suffer a fall, you may be entitled to compensation from the owner of the property where the injury took place, but you will need to take several key steps to ensure that you are able to build a successful personal injury case following your slip and fall accident near Riverside, CA. 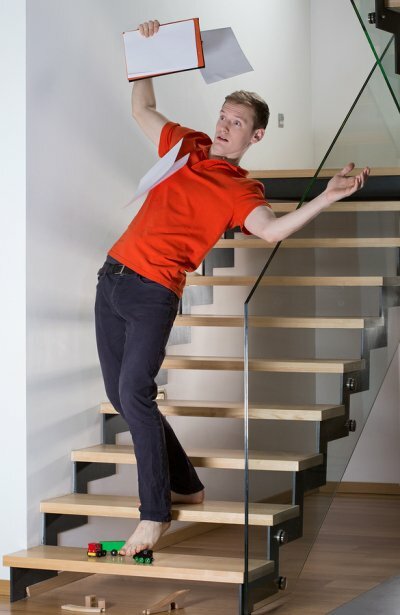 Read on to see what you should do after you sustain injuries from a fall in a public place or on someone else’s property. Falls can lead to serious injuries, so you will not want to hesitate to seek medical attention. When you visit the ER or urgent care center, be sure to get thorough documentation of the visit so that you can discuss the exact nature of your injuries with an attorney later on. While your medical care should take priority after a fall, it is important to report the incident to the appropriate parties. If your fall occurs in a store, speak to the manager and ask to see security footage if it is available. In addition to reporting your slip and fall injury to a property owner or manager, you will want to gather as much documentation of the event as possible. If there are witnesses to your fall, try to get their contact information so that you might use their testimony later on. You should also keep thorough details of any medical care following the accident, as the costs of your care will be highly influential in determining your settlement. Even if you are not sure who may be at fault for your fall or you do not know if you have a case, it is best to speak to an attorney about your accident. You should not have to be held financially responsible for medical care and time lost at work when you suffer an injury caused by negligence, so schedule a free consultation with a local personal injury attorney to see how you may seek compensation.